2018 Fringe Weekly Award winners for Music, Adelaide chanteuse Louise Blackwell and the French Set are back to perform songs from the new CD of their hit show A NIGHT IN PARIS. Accompanied by a six-piece band of some of Adelaide's finest musicians featuring Mark Simeon Ferguson on piano, Julian Ferraretto on violin, John Aue on double bass, Gary Isaacs on guitar, Joshua Baldwin on drums and Alex Taylor on brass, Louise takes the audience on a night out in Paris with a wonderful selection of songs by a variety of artists from French popular music of the twentieth century such as Frehel, Lucienne Boyer, Edith Piaf, Leo Ferre, Georges Brassens, Boris Vian, Juliette Greco, Barbara, Serge Gainsbourg and more. "...a chanteuse of inimitable style and full of joie de vivre..." Broadway World. PLEASE NOTE: Due to the hot weather, the matinee performance of ‘Louise Blackwell - A Night In Paris’ at 2.30pm on Wednesday 27 Feb at The Pocket at Stirling Fringe, will now take place at Stirling Community Theatre, 9 Avenue Rd Stirling, which is a short 350m walk away from Stirling Fringe. All tickets for The Pocket at Stirling Fringe will be valid for the Stirling Community Theatre. All seating is unallocated. Bar facilities will be available at STC instead of Stirling Fringe prior to this performance. 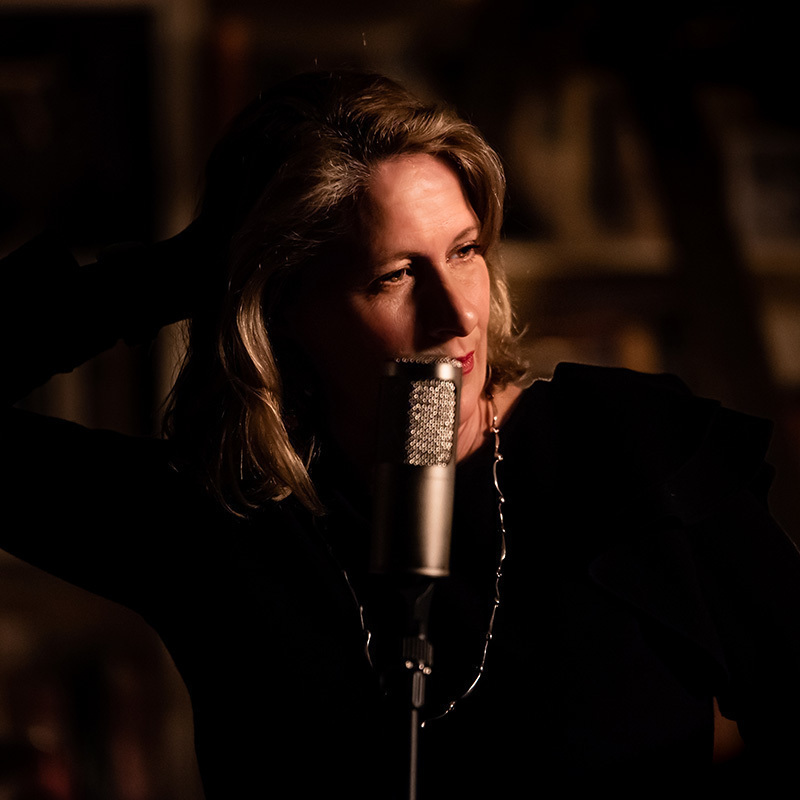 Louise Blackwell is a performer and singer from Adelaide who spent many years living in France studying cinema and jazz vocal technique and went on to sing in the Paris jazz scene and record three albums. She has brought her love of French culture back to Adelaide with her show A NIGHT IN PARIS, a French variety hour where chanteuse and story teller Louise sings many great French songs accompanied by some of Adelaide's finest jazz musicians. They have played at many French events including the Adelaide Festival Centre's French Festival and the SA Art Gallery's Impressionist Exhibition. They have toured to Melbourne, Mount Gambier, Brunswick Heads and won a 2018 Weekly Fringe Award for Music. They have just completed the Cd to this hit show and are set to launch it at the Adelaide Fringe.